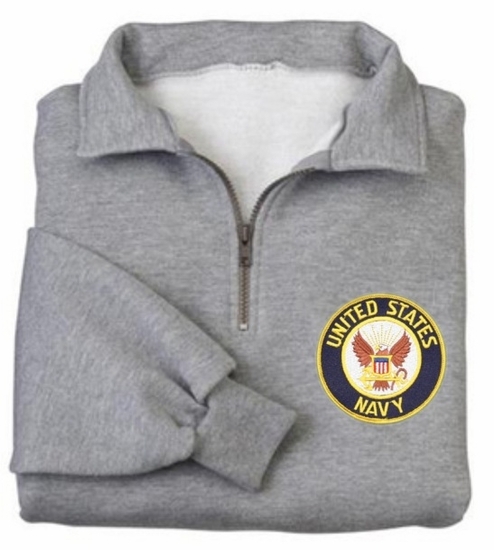 Our Navy Patch Quarter Zip Pullover, Athletes and fans love this Navy sweatshirt as an extra soft layer over a t-shirt, polo or woven. Designed for lasting good looks, this sweatshirt is colorfast and has minimal shrinkage. Remember� you found the Navy Patch 1/4 Zip Pullover at TShirtHub.com, where high quality came at a low price.